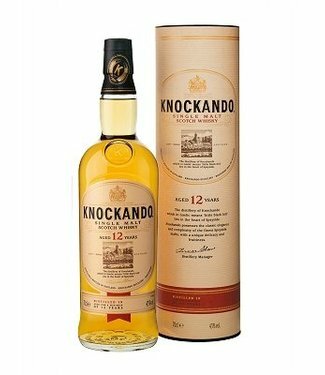 Foremost among the distilleries on the banks of the cool, clear waters of the Spey stands Knockando. 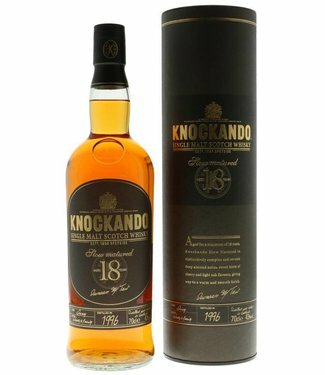 The distillery was built in 1898 by John Thompson, is located in the village of the same name comes from the Gaelic 'Cnoc-an-dhu "that" black hill "means. It is an enchanting location. The roof in the shape of a pagoda, almost hidden among the trees and newer buildings, overlooks an ancient Speyarm. Once inside are attention and craftsmanship still applied in the same way as it did a hundred years ago. The amount of peat used for malting barley is carefully controlled, so that the taste of the final product is not affected too much. The proportion of sherry casks is limited so as to not dominate the taste of the whiskey. Another important factor is time, as gentle maturation in oak barrels are the subtle aromas: delicate with a distinctive fresh almond note in its younger versions, it gains weight and depth of flavor as it ages. 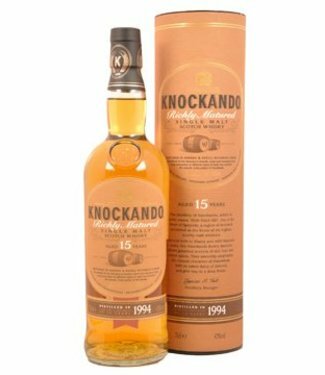 Despite the fact that distillation is carried out at Knockando throughout the year referenced to each year of production as a 'season'. 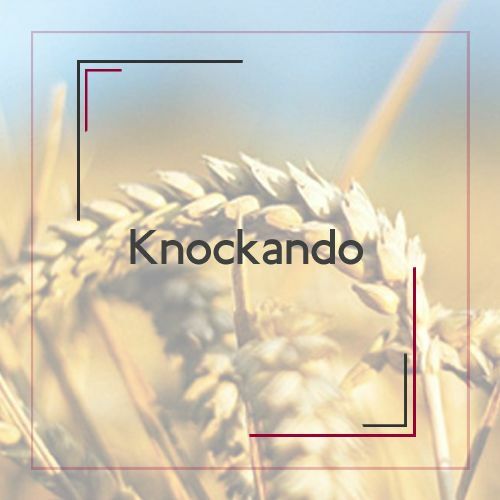 In each bottle you will only ever produce one single Season; a habit that Knockando ™ still differs from most other single malts. Thus, when the young whiskey is brought to the store, the "season" of distillation listed on the end of the vessel. And he is ready to be bottled, it is punctual on the bottle and quoted on the gift box, along with the year of bottling. There are never added coloring agents, and for that reason may be that the color is not always the same depth. "We take it up barrels that are at their peak. That can sometimes mean that one bottle will differ subtly from the other, but the distillery character remains the same. " Innes Shaw, manager of the Knockando distillery from 1978 to 2006.